As buzzwords go, self-care is up there with "fake news." In fact, if the ads showing up in my Facebook feed are any indication, any company trying to sell anything to a woman these days markets it as self-care. A $300 commuter backpack? Self-care. A $45 facial? Self-care. I can pretty much buy anything my little heart desires and call it self-care. Self-care as a daily practice is absolutely important. At its core, this concept revolves around the idea of making basic needs a priority. Make sure you're eating balanced meals. Make sure you're exercising regularly. Make sure you're getting enough sleep. The problem is, what's marketed as self-care isn't always that. Sometimes, you buy one of these things and you just feel worse, because you spent too much, or you should have spent that money on something else, or you ended up with something you didn't actually want. And sometimes, you wonder if there's a way to tell, ahead of time, which self-care purchases you will regret. Here are a few of my personal guidelines for choosing between legitimate self-care purchases and the ones that aren't care at all. Self-care will hurt your budget when you can't afford an item. Whether it's bubble bath, a vacation, a day at the spa with your friends, or even just an adult coloring book, if you can't afford it, there's no way that buying the item will help you feel better. In fact, self-care doesn't have to be expensive at all. In our society, where so many of us are busy and unhappy, taking a day off and spreading out a blanket in a grassy park might provide more in the way of self-care than that expensive mani/pedi/facial package you've been eyeing. Self-care purchases also hurt your budget when you end up buying things you don't want or need. It's easy to read Goop, Gwyneth Paltrow's newsletter full of overpriced, luxury items, mostly marketed under the guise of self-care, and feel like, surely, that dress/wrap/bath bomb will help you feel better. 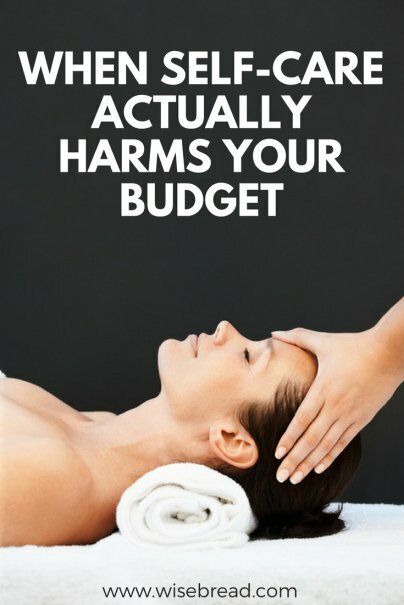 So you justify the exorbitant cost, and later remember that you don't even like taking baths. Self-care is such a trendy concept right now that most of us have purchased things we wouldn't otherwise have spent money on because they were supposed to help us feel better. And, when they don't, we are out the money and we have extra junk lying around the house that, now, we have to feel guilty about and get rid of. Most of us know what we need in terms of basic self-care, and we know what won't help at all. We know if we need more sleep, to take time alone, to spend time with friends, or enjoy a few moments with a good book. It's usually nothing fancy and nothing that we need to be told to do by celebrities. But when we buy things we don't really want, even in the name of self-care, we hurt ourselves and our budgets. So, how do you master self-care on a budget? Taking care of ourselves, especially in a world that can be difficult and capricious, involves some time, practice, and determination. Most of us have some intuitive idea about what we need to do feel better. Many of these things won't cost a whole lot of money — if any at all — so we won't have to worry about blowing our budgets just to get them.